At Middlesex Community College, everyone teaches, everyone learns. Collaborative in nature and innovative in practice, we educate, engage, and empower a diverse community of learners. Through transformative opportunities, we challenge and support every student to succeed and lead. Recognizing equity and inclusion as the foundation for excellence and creativity. 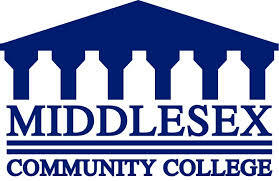 Middlesex Community College meets the evolving educational, civic and workforce needs of our local and global communities. Middlesex offers students of all ages and stages a host of options for continuing their education. There's sure to be one that fits your life, today and for the future.